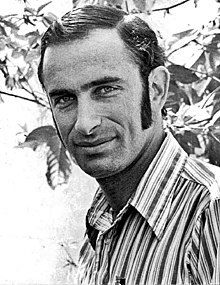 Paul Ralph Ehrlich (born 29 May 1932) is an American biologist, best known for his warnings about the consequences of population growth and limited resources. The debate regarding which individual factor, among the three key factors producing the environmental crisis, causes more damage - the size of the human population on the planet, excessive consumption of resources or unequal/ unjust distribution of resources among countries [the wealthier countries consume much more resources than poorer countries] - is like a debate about which contributes more to a triangle, the base or the ribs of the triangle. You can not separate the three factors. If we analyze the numbers over a relatively longer time interval, we will conclude that the size of the population has a bigger impact than consumption. On the other hand, consumption and unequal distribution are also important aspects. If we do not change these three factors all at the same time, the quality of our life will change dramatically. Today humanity is delivering a serious blow to nature, but it is clear that nature will deliver the final blow. If I were a gambler, I would take even money that England will not exist in the year 2000 (Quote from 1969). Regis, Ed (February 1997). The Doomslayer. Wired (Issue 5.02). Archived from the original on 2008-05-18. Retrieved on 2010-03-01. Americans plunder planet?, Associated Press, April 6, 1990. A series of things have come up since then that have made the problem incredibly grimmer…. The ozone hole… acid rain…. Three hundred million people have starved to death since THE POPULATION BOMB was written. The famines weren’t as large as agriculturists thought they would be… due to the spread of… Green Revolution technology into the poor countries…. What makes us nervous right now is that we’re faced with again having to do something desperate to increase our food production greatly.... In 1965 we knew exactly how to do it, the question was could we deploy it fast enough—Today we have nothing left to deploy—that’s very scary.... As a species we’re not able to live on our income; we’re living on our capital, our deep rich agricultural soils are being destroyed, water is being overpumped, and our biodiversity, our life support system—we’re already far beyond what we can support. Perpetual growth is the creed of the cancer cell. The idea that we can just keep growing forever on a finite planet is totally imbecilic.... Julian Simon, a professor of junkmail marketing, and his kind, think technology will solve everything.... We can use up the Earth then we can just jump into spaceships and fly somewhere else.... Technology does nothing to solve problems of biodiversity or living space or arable cropland.... Fresh water and arable cropland are finite resources.... We are already far beyond what we can support sustainably.... The provincial view you get from someone living in some wealthy American East Coast city is wildly different from reality. Most of the world is tropical, hungry and poor. Visit the developing world and southern hemisphere and you get a very different view of reality. Solving the population problem is not going to solve the problems of racism… of sexism… of religious intolerance… of war… of gross economic inequality—But if you don’t solve the population problem, you’re not going to solve any of those problems. Whatever problem you’re interested in, you’re not going to solve it unless you also solve the population problem. Whatever your cause, it’s a lost cause without population control. This page was last edited on 31 May 2018, at 17:25.